December's been a doozie of a month for me and I'm still wading out of the bog I ended up in. It's been weeks since I've done any writing. Weeks. And I'm having a really hard time getting back to my keyboard. Not because of time—I've had lots and lots of time, but because I did something Israel did after they left Egypt with Moses. Israel was in Kadesh-Barnea, right on the brink of entering the Promised Land, and they chickened out. Guess where I've been this month? In Kadesh-Barnea doing the chicken dance. It's not a very pretty picture. More than that, it's not a pretty experience. I know what I'm supposed to be doing, the path I'm to be following, but instead of moving forward I've settled for the chicken dance. Israel's chicken dance landed them in the desert for 40 years, and that generation died in the desert. 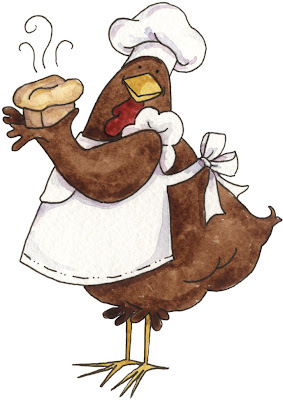 Have you been chicken dancing or cooking? Oooo Patty, what a word... AWESOME!! Loved this one, PJ! I have no desire to "chicken out" either, but sometimes I do. You can do it in God's strength, Peej! God only asks us to obey. He's the one that conquors the strong cities.